I finished a half marathon! 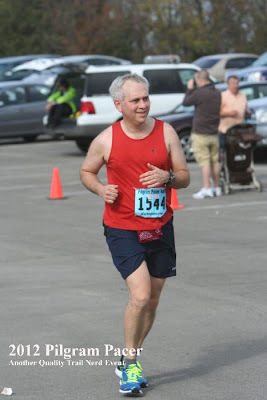 My foot was still bothering me and I had almost decided to skip running any halfs this fall. But with 60-70F weather, I decided to try it. I felt pretty good. No real pain in my foot. I ran about 8 miles with a friend from work, Omar Olivares. Those 8 miles went fast as we solved most of our company's problems. I just wish I could remember the solutions we came up with. Seriously, it was a bonus to to have a great conversation, and not only about work. At 8 miles I took a 10-12 minute restroom stop (waiting in line, etc.) Below are my official times. If you subtract 10 min, my pace was 10:50. Not bad for not being really trained for it, and I was just running and enjoying the day. My Garmin stopped working after 4 min. But I have a finisher's medal to prove I did it. We are a small group of men who are diverse in many respects but who share the common interests of running and riding. We set aside one evening a month for an easy 5 and camaraderie at a local pub. There we catch up, offer unsolicited advice, commiserate, joke, encourage, congratulate and plan for the next big ride or run. We usually meet the first Monday of the month in the Waldo area of Kansas City, MO. Lifetime Accomplishments: Bicycled Coast to Coast 1976, MRC member in good standing, husband, proud father, (striving for humble) servant. Liftime accomplishments: 15 marathons including, Boston, Marine Corp, Big Sur, Washington DC, Mount Dessert Island, Grandmas twice, Twin cities, and others. Part of a 12 person team in the Hood To Coast relay from Mount Hood, OR to Seaside, OR. Super event! Note: Can no longer run due to meniscus tears in knee, so I'm now into cycling! Occupation: Engineer for Kiewit Power Engineers. I'm their Manager of Air Quality, focusing on air pollution control equipment on power plants, mostly coal-fired. I've run 3 marathons. 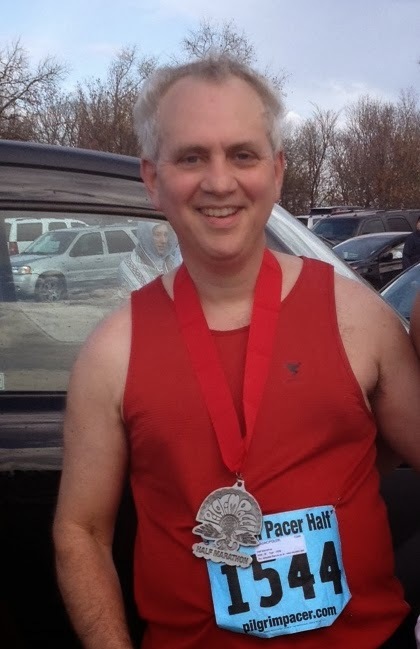 I'm now happy doing half marathons. 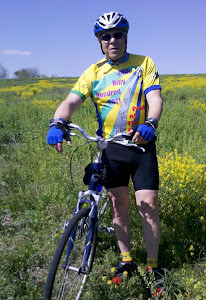 I moved to KC area in April 2011. I'm also riding my bicycle whenever I can. I'm on the KCMBC board.